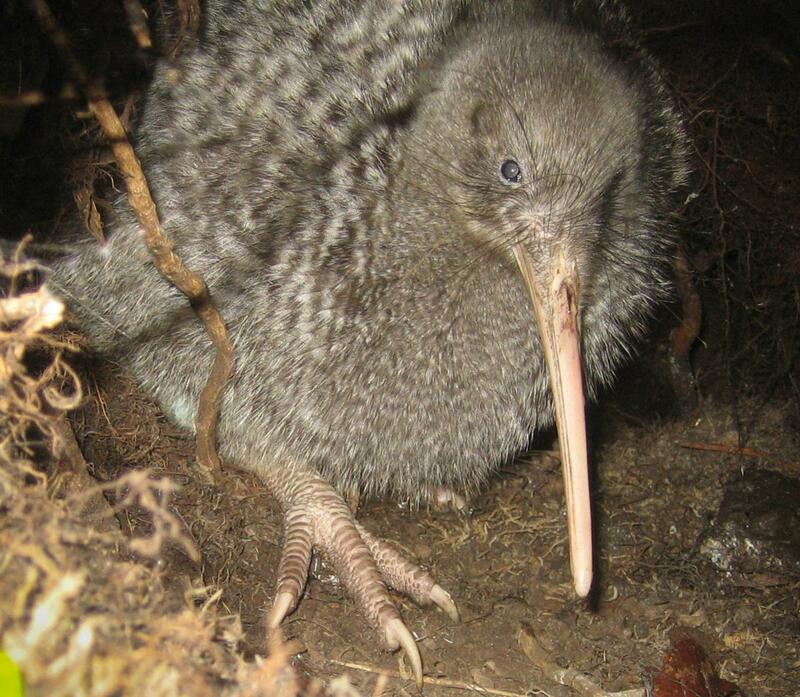 Geographical variation: Subfossil little spotted kiwi from the northern North Island were genetically distinct, and represented a recently extinct lineage which may have warranted species status. 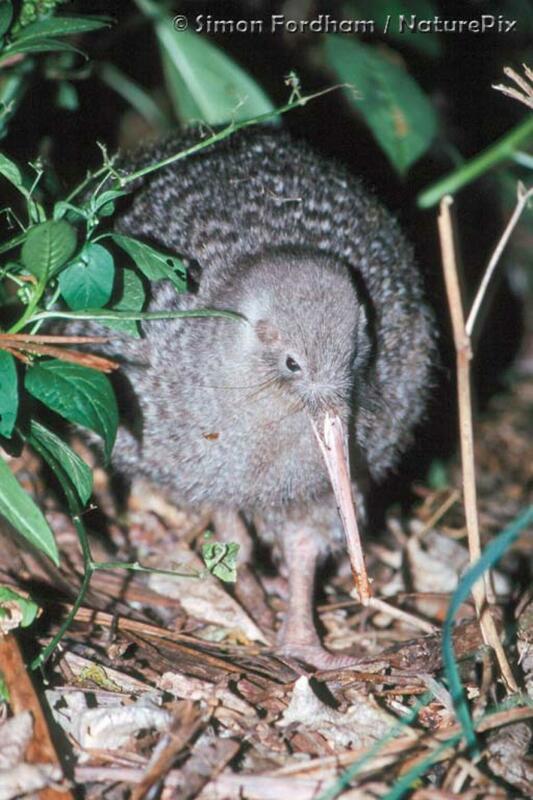 The smallest of the five kiwi species. Formerly widespread on both main islands, but now confined to offshore islands and one mainland sanctuary. Flightless, with tiny vestigial wings and no tail. 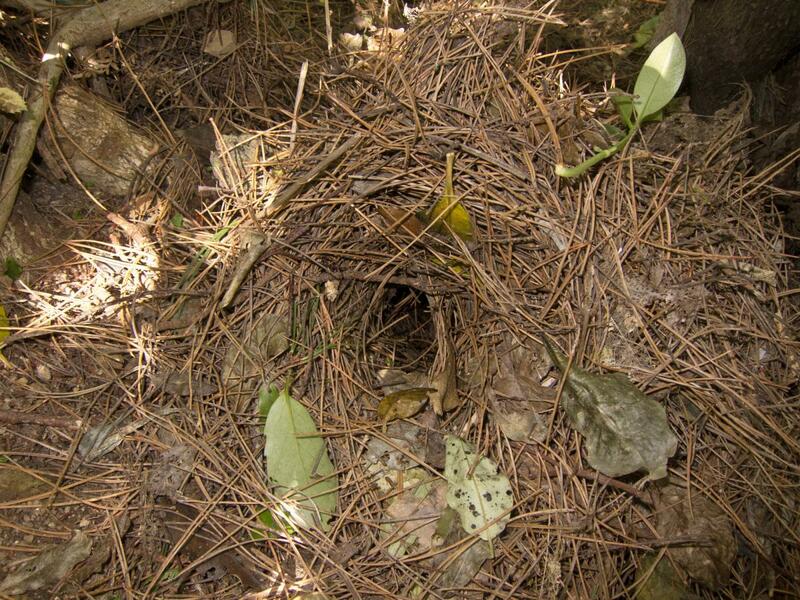 Nocturnal, therefore more often heard than seen. Male gives a repeated high-pitched ascending whistle, female gives a slower and lower pitched warbling whistle. 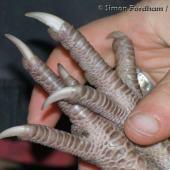 Light brownish grey finely mottled or banded horizontally with white, long pale bill, short pale legs, toes and claws. 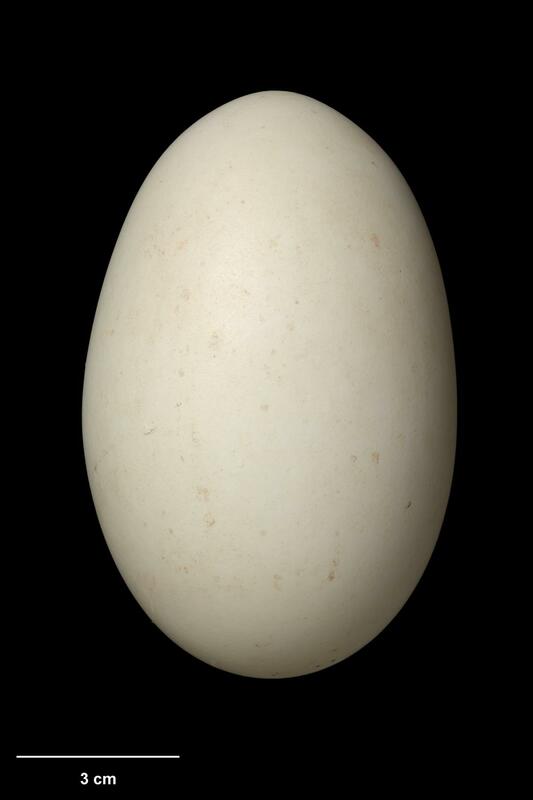 Small pale kiwi. 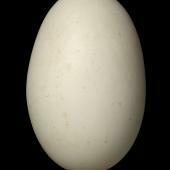 Light brownish grey finely mottled or banded horizontally with white, long pale bill, short pale legs and toes. Voice: Male gives a high-pitched ascending whistle, female gives a slower and lower pitched ascending trill; both sexes repeat calls 25-35 times per sequence. 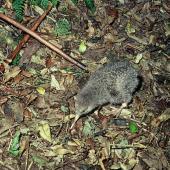 Similar species: juvenile great spotted kiwi pass through a stage when they are similar to little spotted kiwi, but great spotted kiwi have dark legs and toes, and darker plumage. 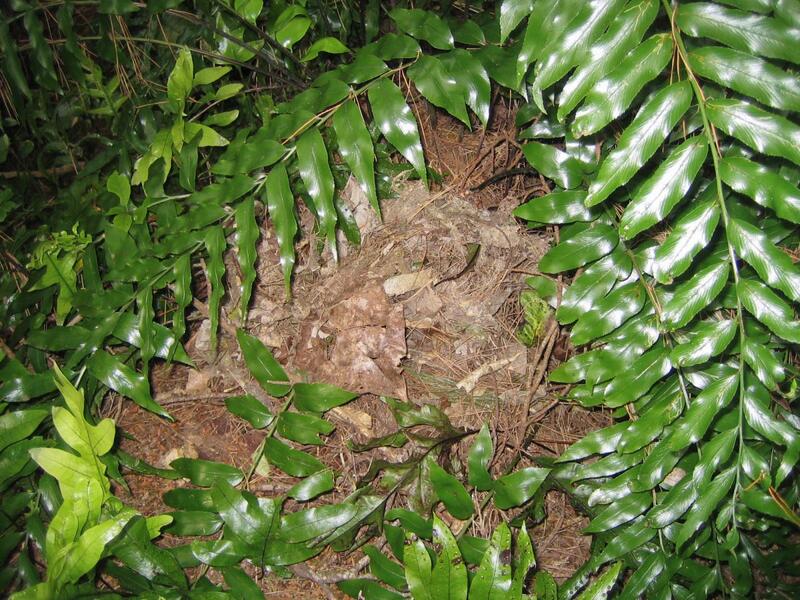 Formerly widespread in forest and scrub on both the North and South Islands. By the time of European settlement they had virtually disappeared from the North Island, with only one specimen collected (Mt Hector, Tararua Range, 1875) and another reported from near Pirongia in 1882. 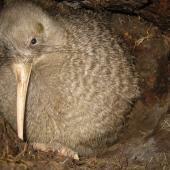 Still common in Nelson, Westland and Fiordland through to the early 1900s, but gradually disappeared, leaving a small relict population on D’Urville Island. 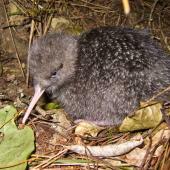 It is believed that five little spotted kiwi were introduced to Kapiti Island from the Jackson Bay area in 1912, and they flourished on the island. 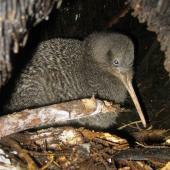 Since 1983, birds have been transferred from Kapiti to establish new populations on Hen, Tiritiri Matangi, Motuihe, Red Mercury, Long (Marlborough Sounds), Chalky and Anchor Islands, and to Zealandia/Karori Sanctuary (Wellington). 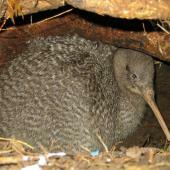 Two D’Urville birds were transferred to Long Island (Marlborough Sounds). About 1650 birds in 2012. 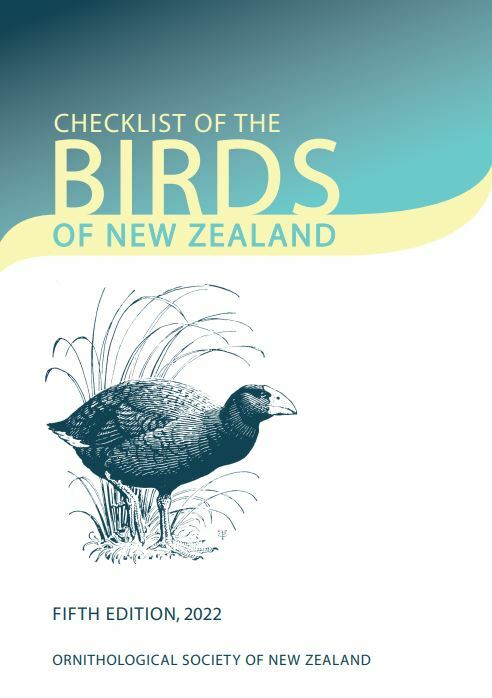 Kapiti Island is the stronghold for the species, with c.1200 birds; Zealandia 120; Tiritiri Matangi 80; Red Mercury Island 70; Hen Island 50; Long Island 50; Chalky Island 50; Motuihe 30. 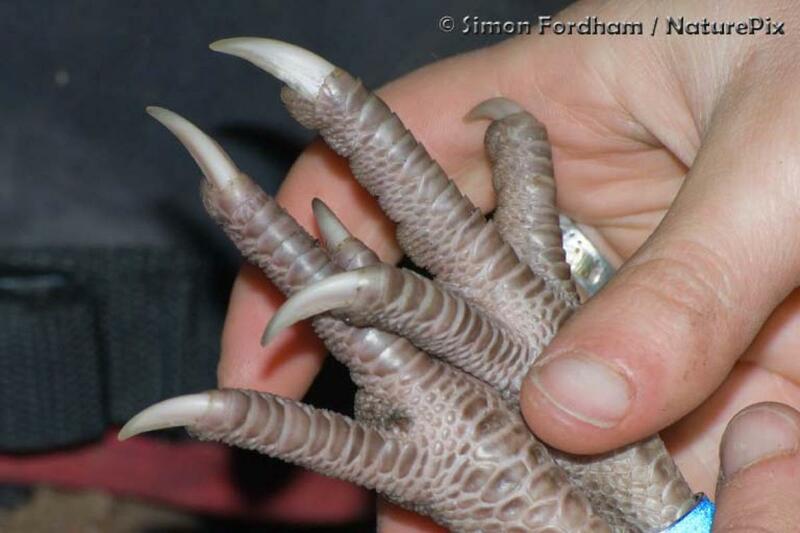 Twenty birds from Kapiti Island were translocated to Anchor Island (Fiordland) in April 2015. 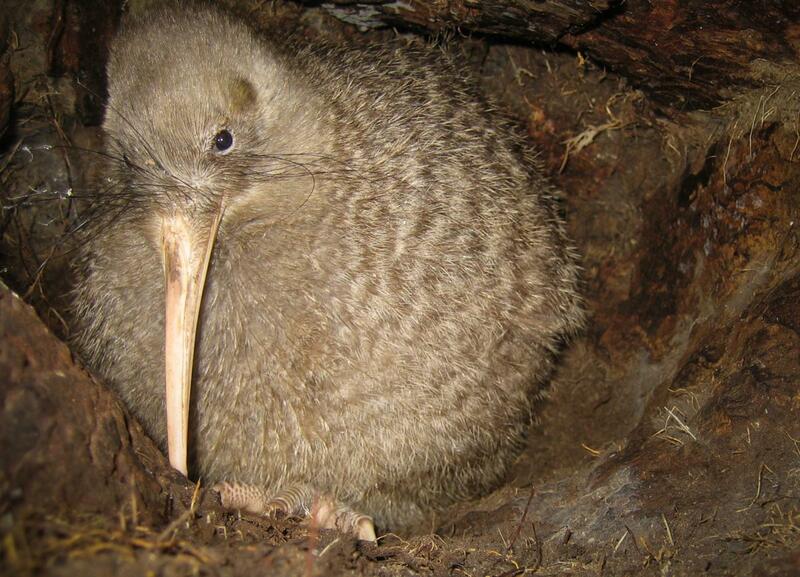 Little spotted kiwi died out in the North Island in the late 1800s, possibly as a result of predation by dogs. 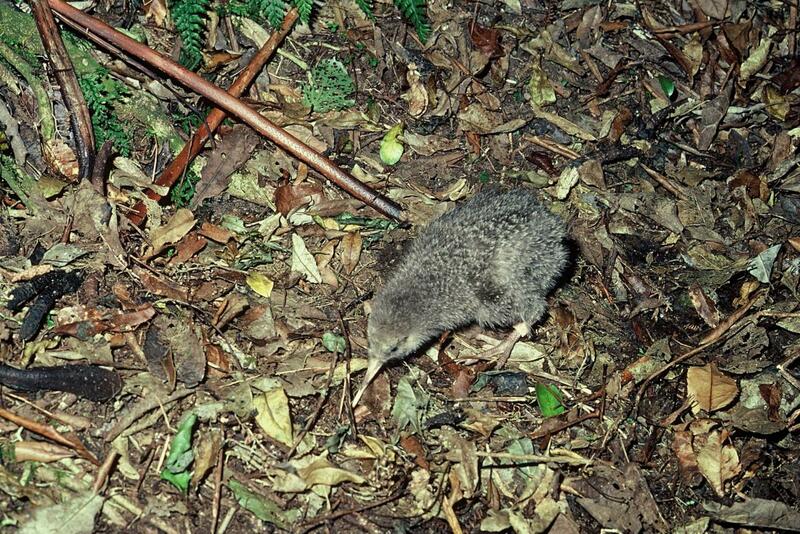 The decline and ultimate extinction in the South Island was probably the result of predation by mustelids, dogs and cats. 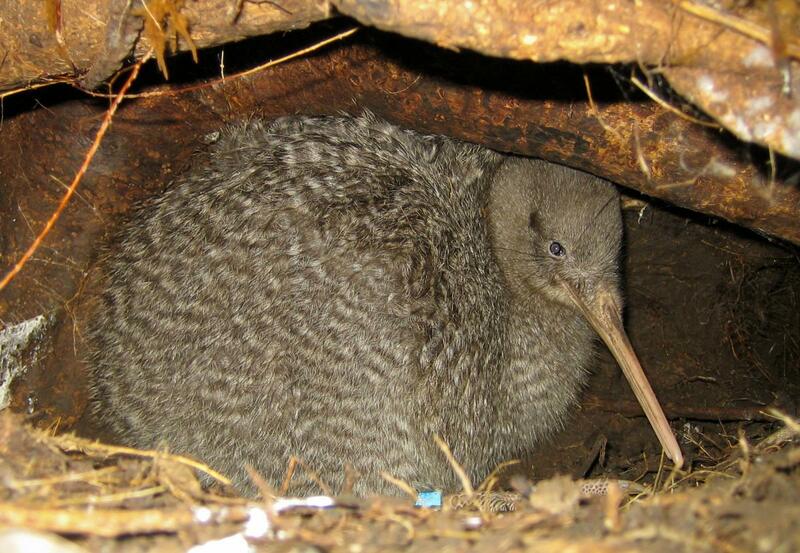 Luckily, a few birds were introduced to Kapiti Island in 1912, where they flourished despite the presence of weka. 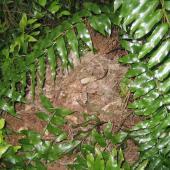 Transfers to other pest-free sites have been largely successful. 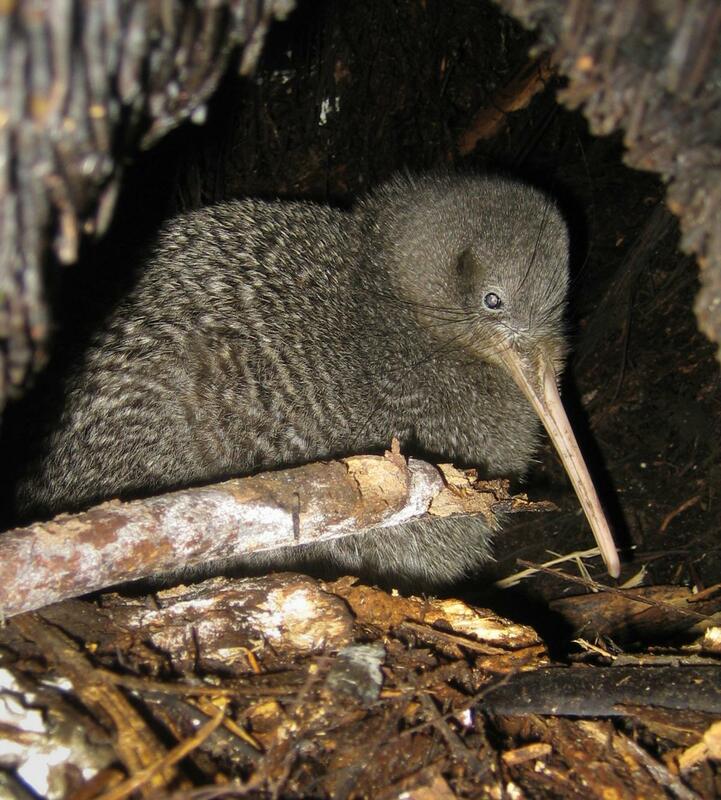 Little spotted kiwi have the lowest genetic diversity of the five kiwi species, which is not surprising given that the current population is foundered from a maximum of 7 birds, and most likely just 5 birds introduced to Kapiti Island. 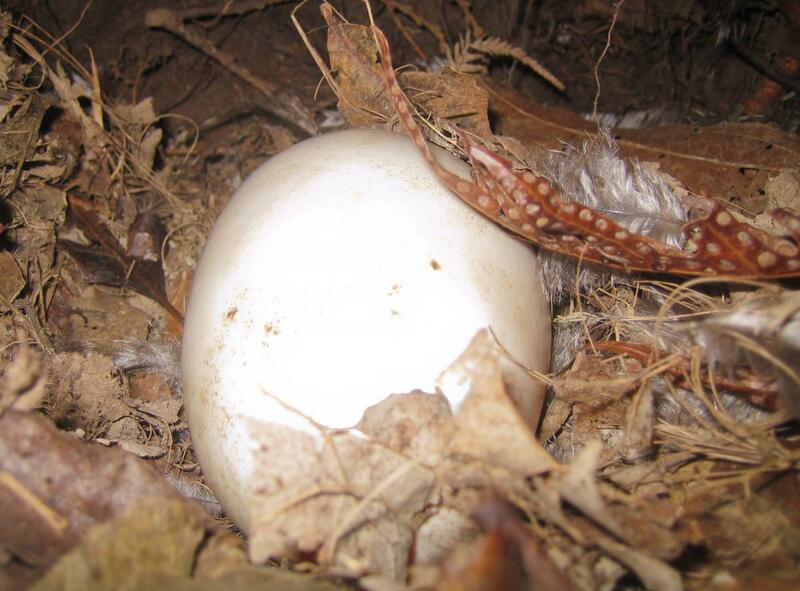 Eggs are laid from July to January. 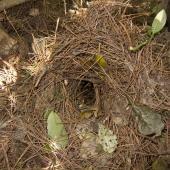 The nest is in a short burrow, hollow log, or on the ground under dense vegetation. 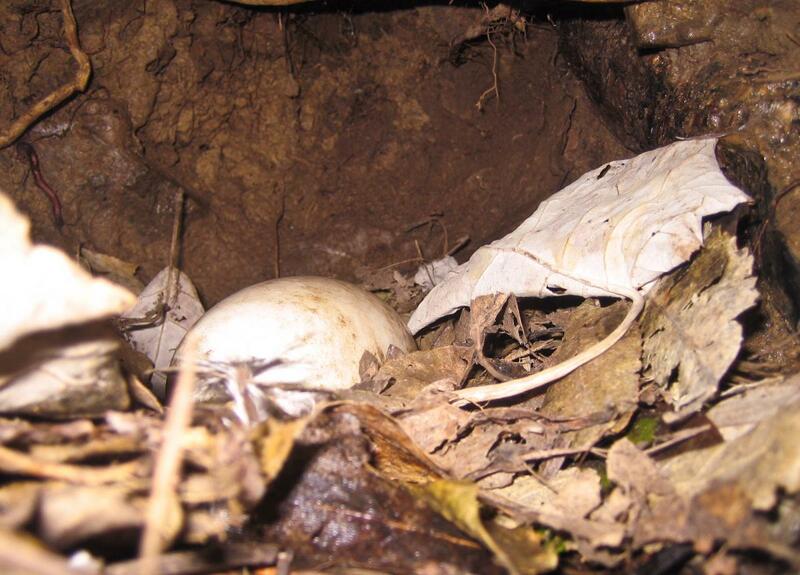 Clutch size is 1 or 2 large white eggs. 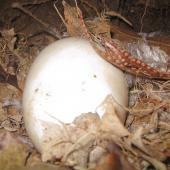 Incubation is by the male only. 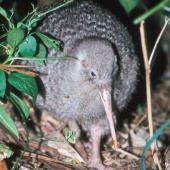 Little spotted kiwi are flightless and nocturnal. 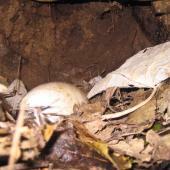 During the day they rest in a burrow, rock crevice, hollow log, or under dense vegetation, and then emerge shortly after nightfall. They feed by walking slowly along tapping the ground and when prey is detected they probe their bill into the leaf litter or a rotten log, or pick prey up from the surface; only rarely plunge their bill deep into the ground. 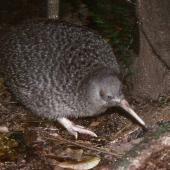 Little spotted kiwi call occasionally each night to advertise territory and to maintain contact with partners; often pairs will duet. They are fiercely territorial, and fight conspecifics with their sharp claws, resulting in a cloud of feathers on the ground. 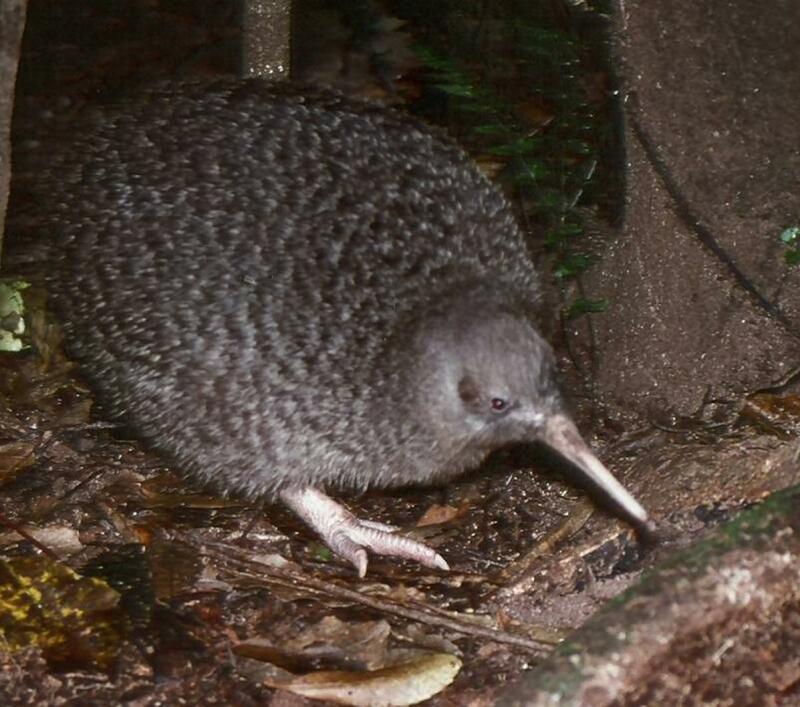 Little spotted kiwi eat mostly small invertebrates, especially earthworms; larvae of beetles, cicadas, flies and moths; spiders, adult beetles and some small fallen fruit and leaves. Colbourne, R.M. ; Robertson, H.A. 1997. 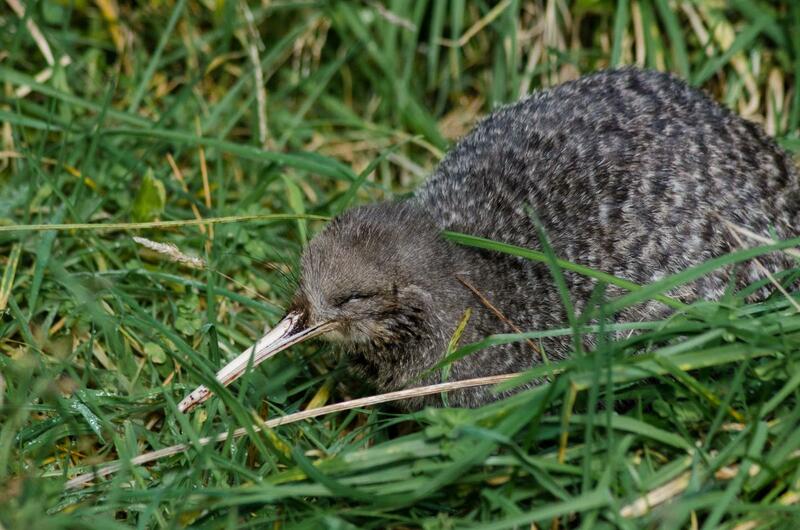 Successful translocations of little spotted kiwi (Apteryx owenii) between offshore islands of New Zealand. Notornis 44: 253-258. Colbourne, R.; Robertson H. 2004. 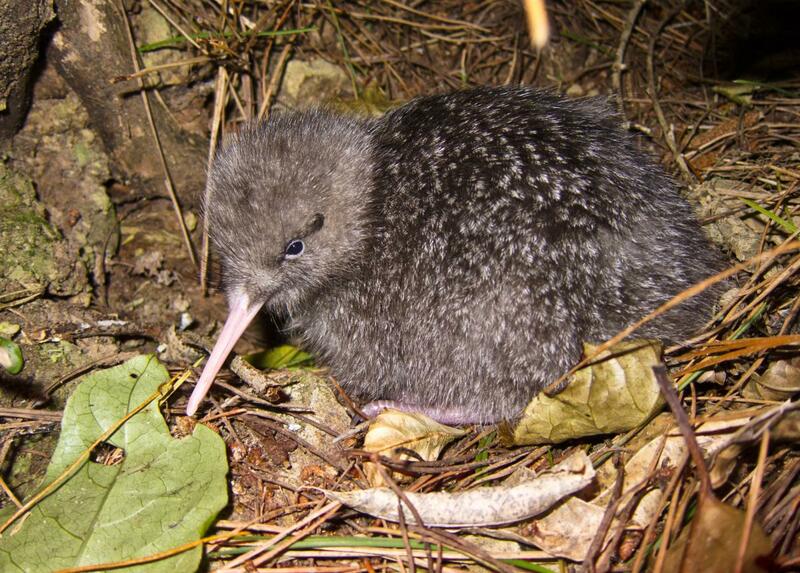 Little spotted kiwi. Pp 53-59 in Brown, K. (ed.) 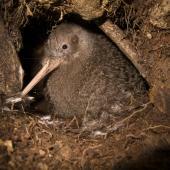 Restoring Kapiti: Nature’s second chance. University of Otago Press: Dunedin. Digby, A., Bell, B.D. ; Teal, P.D. 2013. 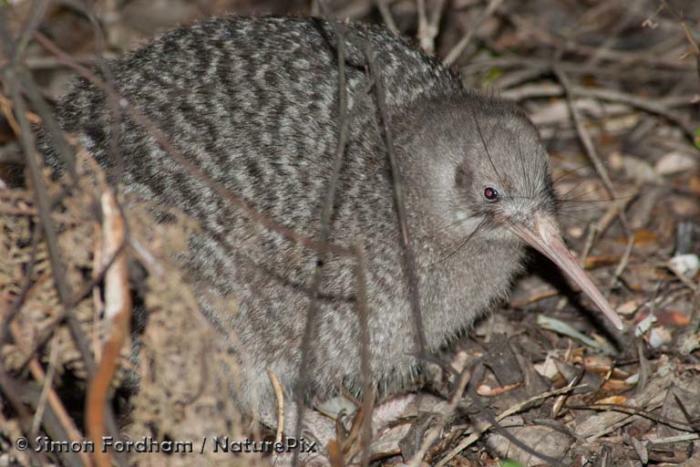 Vocal cooperation between the sexes in little spotted kiwi Apteryx owenii. Ibis 155: 229-245. Jolly, J.N. 1989. 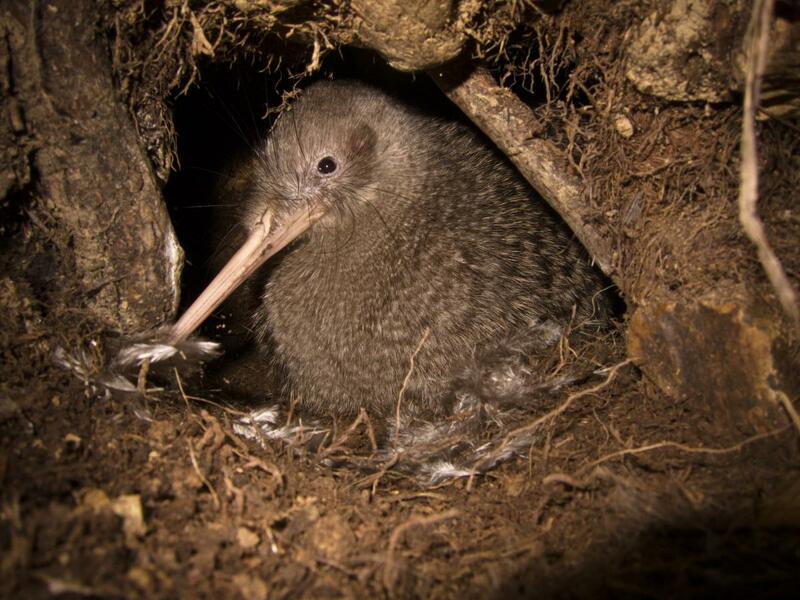 A field study of the breeding biology of the little spotted kiwi (Apteryx owenii) with emphasis on the causes of nest failures. Journal of the Royal Society of New Zealand 19: 433-448. Robertson, H.A. ; Colbourne, R.M. 2004. 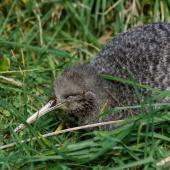 Survival of little spotted kiwi (Apteryx owenii) on Kapiti Island. Notornis 51: 161-163. 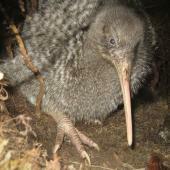 A small pale kiwi with light brownish-grey feathers finely mottled or banded horizontally with white, a long pale bill, and short pale legs and toes.